Belgian gallery owner and curator Gregoire Vogelsang from Vogelsang Gallery presents the third edition of Cube Art Fair. The contemporary art fair takes place on the ground floor gallery space of 521 West 27th street designed by world-renown architect Zaha Hadid and is adjacent to the High Line Nine gallery spaces. Cube Art Fair presents photography, paintings, and sculptures from upcoming and established European and American artists such as David Drebin, Antoine Verglas, Justin Bower, Desire Obtain Cherish, Carine Doutrelepont, Jane Fleetwood-Morrow, Eugenio Marino, Troy House, Peter Mc Lennan, Gregg Emery, etc. 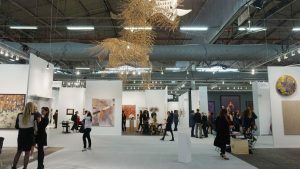 Founded in 2016 with already two successful editions produced in Brussels, Belgium (under the theme The American Art Fair of Brussels), Cube Art Fair brings to New York it’s unique model which bridges European and American collectors, galleries, and artists. 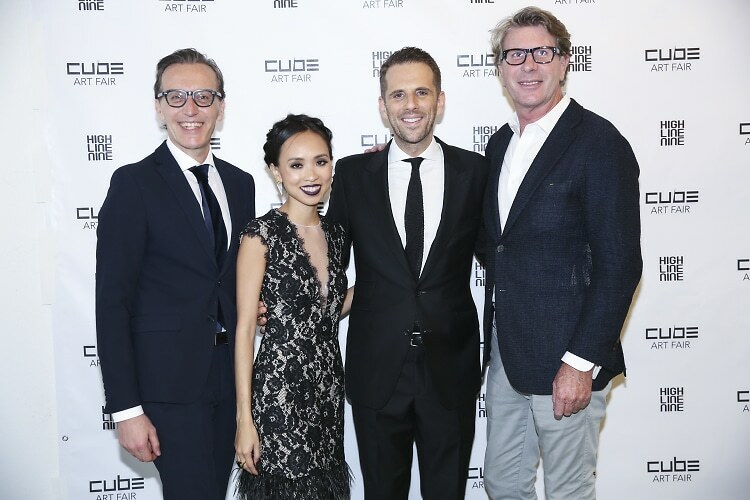 Cube Art Fair gives unique opportunities for exhibitors, collectors, and artists to build strong relationships with one another through various intimate setting and dinners taking place at collector’s private homes. The New York edition (through June 30th) will host cocktail events every Thursday, charity auctions, and exclusive sit-down dinners for art collectors and curated attendees throughout the entire month of June. The black tie dinners, organized in partnership with Maison Christofle and Caviar Petrossian, will also serve as the soft launch of the events program of the High Line Nine galleries connected to the Zaha Hadid Building.